36'L. 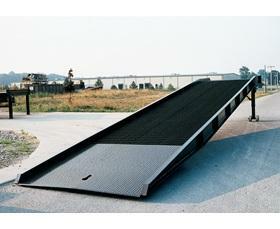 ramps include 30' of ramping and a 6' level off. Other sizes and capacities available. Unit is easy to operate with a manual hand crank system with a service range of 45-62". Standard features include: maximum traction steel grating, safety locking chains, 8-5/8" steel wheels, 4" high safety curbs and rubber bumpers. Optional features include: pneumatic tires, hand pump hydraulic or DC lift, fork lift pickup slots, tow bar loop, tow bar hitch and handrails. 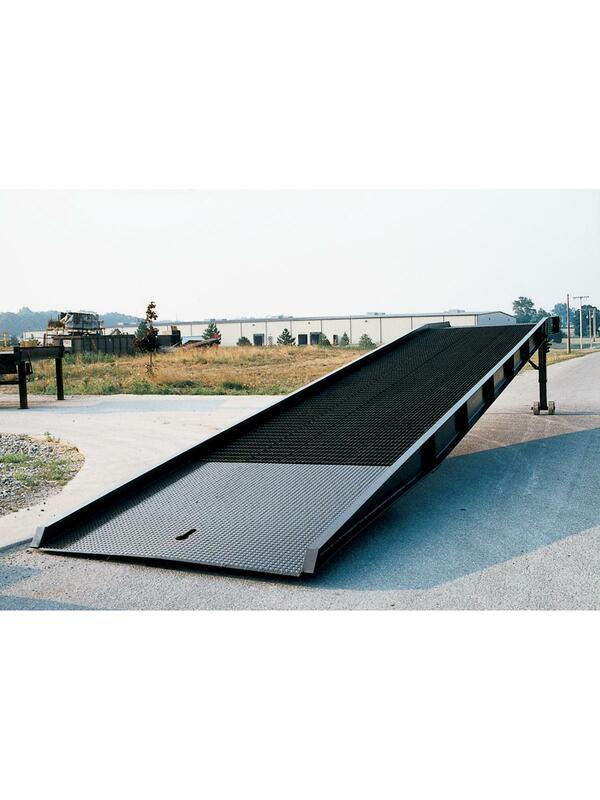 Aluminum yard ramps also available. FOB Shipping Point. Width 72" 73" 84" 85"